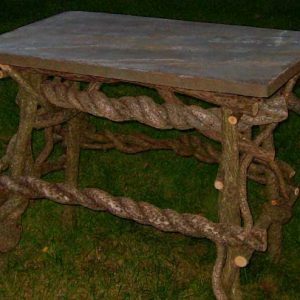 This custom handmade bittersweet bench is a piece of rustic outdoor furniture that will blend in perfectly with the surrounding flora of your yard or add an exciting element to your porch or patio. The bench is aesthetically pleasing, reminiscent of twig furniture but with my own personal twist. 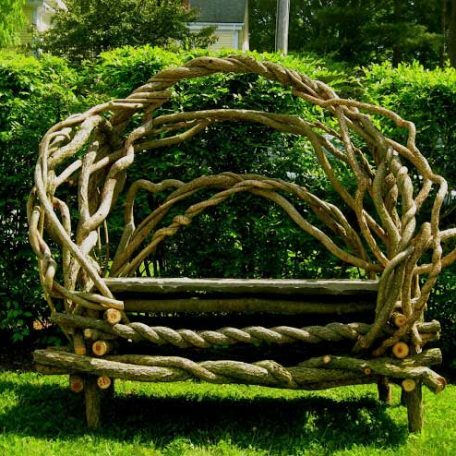 It is a piece of green furniture that is entirely hand made. 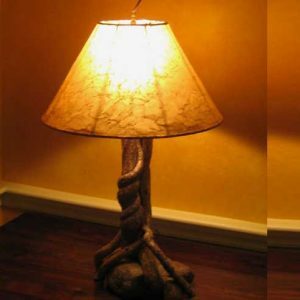 Beyond not adding to the environmental problems of today, it is also eco-friendly furniture in another way. 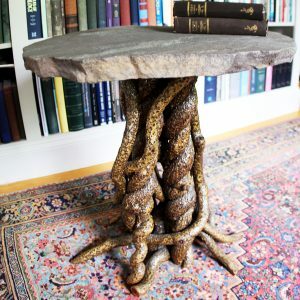 This piece, like most of my creations, is made from bittersweet vines, an invasive species of plant that plagues the trees of the northeast. 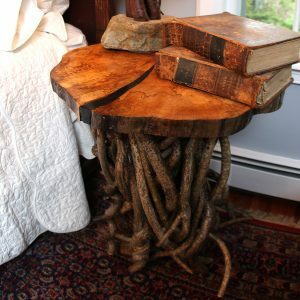 By cutting these vines down, I am saving trees as well as creating art. I, of course, obtain permission to remove these vines from both private and conservation lands. These vines are pliable for about two weeks after I have scaled the infested trees to cut them down, during which time I take advantage of their malleable nature and create the piece I have in mind. Once the shape of the piece has been finished, it is left to dry for about a month. The final step is applying one coat of clear penetrating epoxy, to protect it from the elements, and three coats of marine spar varnish. 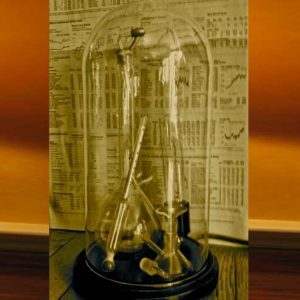 Additionally, I seal all the ends and bottoms of the legs of the piece with epoxy which further prevents moisture from seeping in. I cut the seat from natural cleft bluestone, and sealed it with a product that maintains the natural look of the stone, while allowing for any spills on the piece to be cleaned via usual methods. As far as life expectancy goes, this bench will last a period of five to six years if left outside continually. 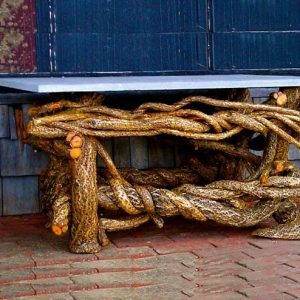 If left under a covered porch during Spring, Summer and Fall, the piece can last decades. 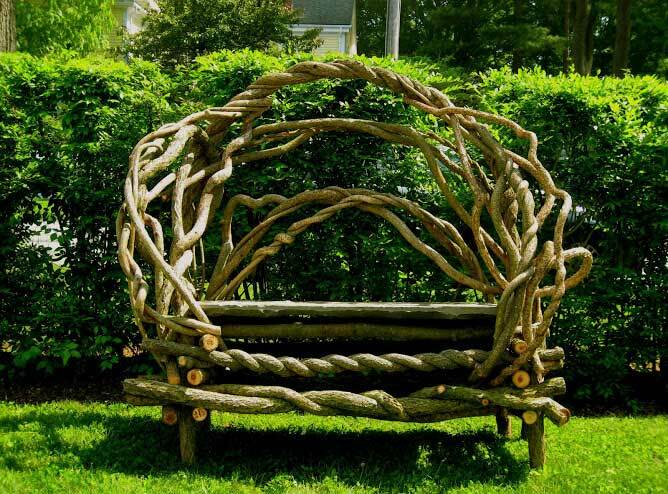 Bringing the piece in during the winter is highly recommended, as this bench is intended for the warm weather when it can be enjoyed outside. 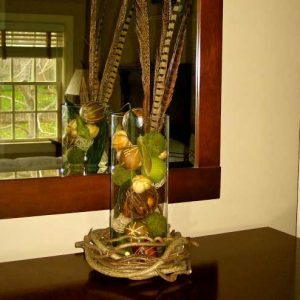 While the piece is intended for outdoor enjoyment, it can also liven up your house, bringing the natural beauty of our planet into your home without having to go outside. The bench embraces whoever sits on it, and often inspires a pensive state of mind. 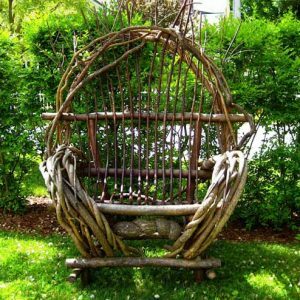 Indoors or out, this piece will add a new and refreshing element to your home.